Not only will picking up a new language make you more cultured and worldly, it'll make you that much more prepared to deal with foreign language-speaking prospective tenants. Spanish is the fastest spreading language in the United States, and knowing at least a few conversational phrases could win over a new tenant! Even if you don't have a Best Man speech to prepare for, Toastmasters can be a great way to push yourself out of your comfort zone. And that's a skill you'll need to be a truly great property manager! Pick up tips on speaking with strangers and commanding a room. You'll be a better leader and speaker! With all the landscaping needed on the average rental property, it pays to know a little about gardening. 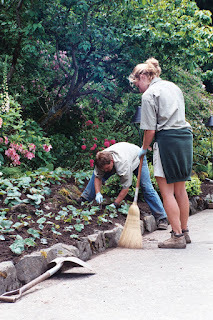 While it's silly to expect you'll take over the landscaping yourself, the tips and tricks you learn while gardening in your free time can better inform decisions you make about hiring a gardener. Plus, it's peaceful and you can create something beautiful! What's not to love?